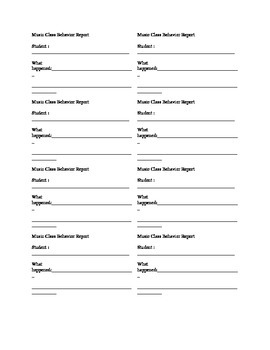 This behavior report can by modified for any classroom. I always like to put behavior issues in writing when the homeroom teachers pick up their students. In the past I would use sticky notes, but this seems more professional if the teacher keeps it and if a parent has a question about what happened in music that day.